Select a name for the project. You can also enter a new path for your project by deselecting the Use Default Location checkbox and entering the new path in the Location text box. Name Specifies the name of the project. Use Default Location When selected, creates the new project in the default workspace location. 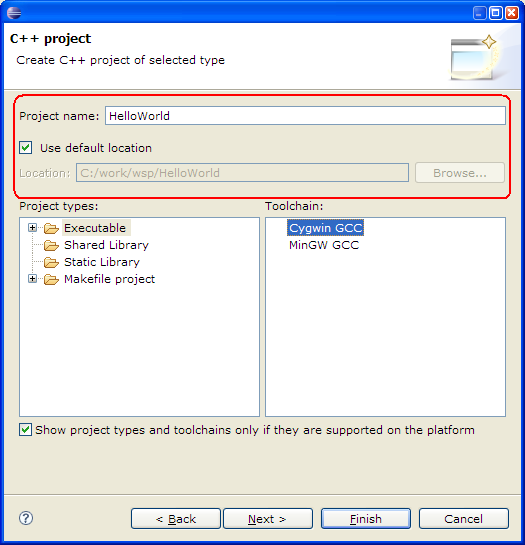 Location If Use Default Location is not selected, specifies the location where the project is to be created.